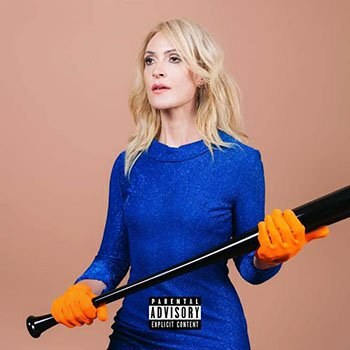 Emily Haines’ sophomore effort is a bold, if somewhat depressing, feminist statement. The best illustration of this ethos is “Legend of the Wild Horse”, which scintillates with its deliciously syncopated rhyming. There are other standouts, too: the shoegazey, purposeful “Perfect on the Surface”, where our heroine reckons with her public and private personas, and the dreamy “Planets”, where a chorus of Emilies ease us into the album. Haines took additional charge by stepping into the producer role for the first time on Choir, recording on a 19th-century grand piano dubbed “the Matriarch”. In an interview with Canadian newspaper The Globe and Mail, Haines remarked, “The through-line of this record is a fascination with feminine strength...This isn’t a record that brings you down.” Here, the reporter provides Knives Don’t Have Your Back as a counterpoint of a more somber effort. It’s not a sentiment to brush aside. In fact, there seems to be a disconnect between Haines’ positive intentions and the experience of the new album. Despite the gorgeous piano playing and the adept songwriting, Choir of the Mind is an overall bummer. It’s evident in song titles like “RIP”, “Fatal Gift”, and the particularly emo “Nihilist Abyss”. The third track, “Strangle All Romance”, is placed too early in the album’s sequencing, and is indeed strangled, consisting only of Haines’ a cappella lyrics. In “Wounded”, how do lyrics like “I remember your descent / And the only way to land / Is to crash and burn” and “The pleasure we get / filling up a poison well of revenge” not bring the listener down? The depressing lyrics have been present since Metric’s early days, even on anthemic album openers like “Empty”, (“There was no way out, the only way out was to give in / How I love to give in”) and “Grow Up and Blow Away” (“If this is the life / Why does it feel so good to die today?”). At best, Haines’ lyrics come across as societally castigating, and at worst, downright suicidal. There’s no doubt that Haines has continued to derive cathartic value from these songs over the years, and there’s nothing inherently egregious about morose material, but they aren’t life-affirming hymns either. Despite treading gloomy territory, “Fatal Gift” rouses itself into an upbeat groove by the song’s end. Other cuts are downright unorthodox, like “Wounded”, which quotes “Friday the 13th”’s “ki ki ki ma ma ma”, an unconventional stroke that shouldn’t work, but somehow does. Ditto for “Statuette”, where Haines, as acerbic as ever, excoriates a shallow man by murmuring atop a silky bossa nova beat. The low, drifting vocals on “Minefield of Memory”, complemented with heavy reverb, suggest the wayward thoughts of the song’s subject matter. Haines sings, “I’m leaving a song in your heart as we speak”. Despite the kinds of emotions her songs may illicit, she just may have uttered her truest statement yet.